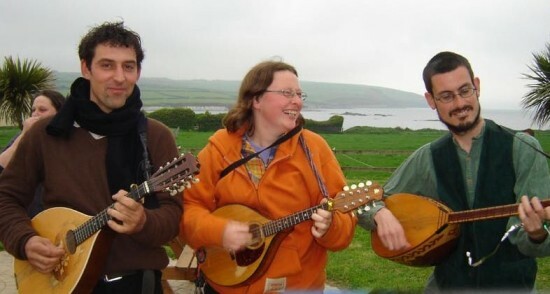 Saz and fiddle/mandolin improvisations, recorded in Baltimore (West Cork) and on the Old Head of Kinsale, May 2006. 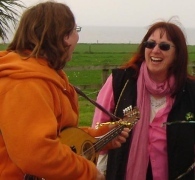 1-3 recorded 13/05/06, with Inge playing fiddle, behind the harbour wall, Baltimore (the original one, in West Cork) - that was the weekend of the Baltimore Fiddle Fair, so our contribution to the Fair was a "secret gig" (for the fish). 4-5 recorded 14/05/06 at Liz's farmhouse on the Old Head of Kinsale, during her (surprise) 50th birthday party. 6-7 recorded at Liz's the next evening, just a bit of modal saz and mandolin jamming.